Our mission is to create safer, more inclusive workplaces free of harassment, discrimination and retaliation. 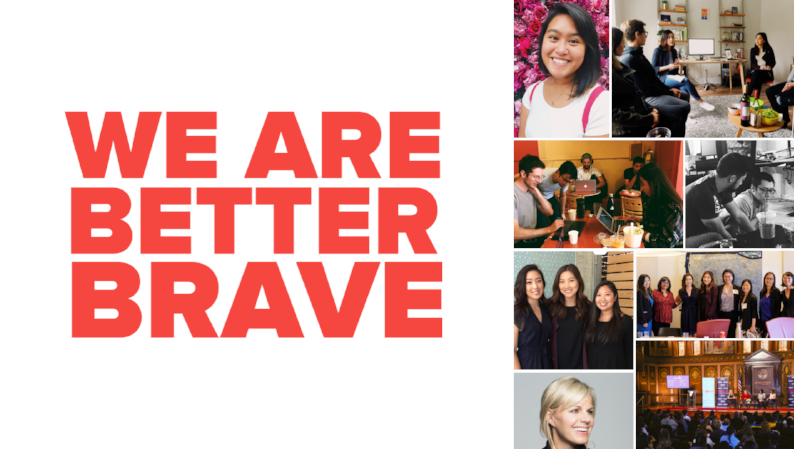 BetterBrave was founded by Tammy Cho and Grace Choi, two women from the tech industry who were fed up with how rampant harassment, discrimination and retaliation are in the workplace. In July 2017, they launched BetterBrave with a mission to shift toxic workplaces into safe and inclusive environments for all. Read their full story here. We’re tackling this problem by engaging all related stakeholders. Knowledge is power. We want to give you access to information you might have not known about your rights. We’re here for you. Cultural change starts from the top down. We empower employers to do the right thing by equipping them with industry best practices. This is a problem that has existed for decades and we’re going to need your help to make our mission a reality.